In general, C-reactive protein (CRP) whole blood point-of-care tests are calibrated in a way that the CRP values measured from whole blood correlate with the corresponding serum/plasma level. 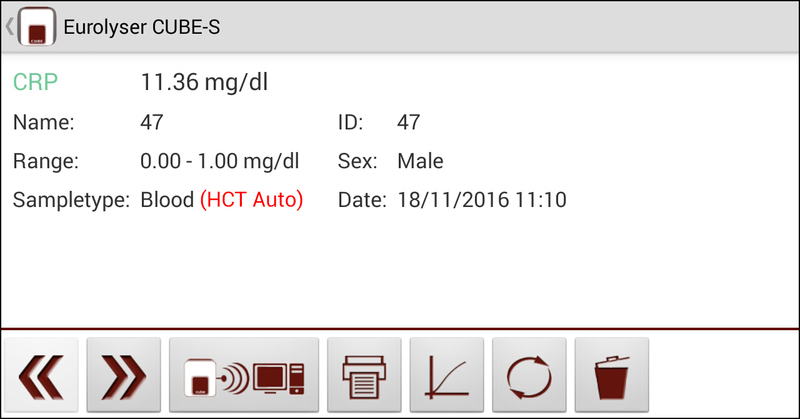 Additionally, CRP test systems which have no automated haematocrit (HCT) correction are most of the time calibrated against a HCT value of 40% as this is the mean normal range for adults. Therefore “normal” HCT values can range from 29% – 68% in paediatric samples. Considering these differences in HCT values within normal range of pediatric samples, CRP measurements from whole blood show a significant deviation if the HCT is uncorrected. This table shows the deviation (false CRP results) if HCT values are not corrected on samples with 1.00 / 5.00 and 10.00 mg/dl for patients with 29% or 68% HCT. The automated haematocrit correction is mandatory to avoid false CRP results in samples with haematocrit values different from 40%. It is highly recommended to use instruments and test kits that allow the correction of the haematocrit value. Please be aware that – up to the date of publishing this article – only liquid based cartridges are potentially able to perform this correction. Lateral flow based test methods are technically not suited to do this correction automatically.